What's better than therapy dogs: Therapy horses? 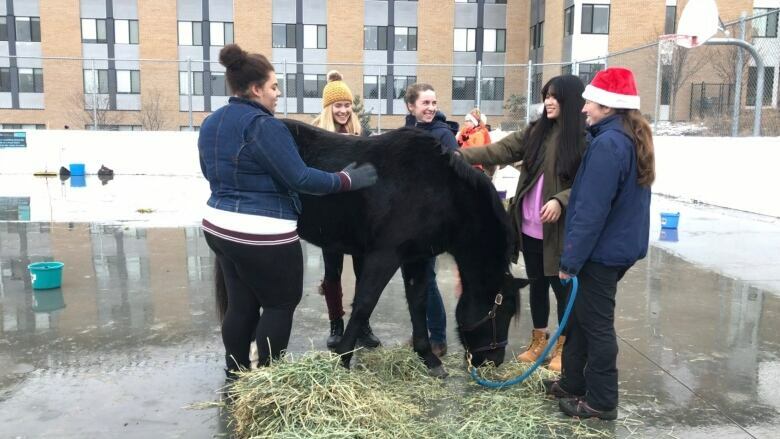 UBC Okanagan brought therapy horses onto campus to help students and staff de-stress during exam time. 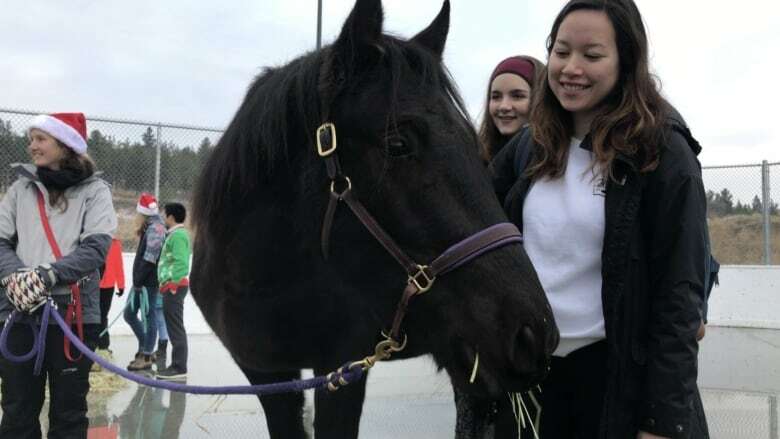 They're certainly not as portable as a puppies, but with the continued success of dog therapy on the UBC Okanagan campus, officials thought, why not try horses? "We've actually talked about having a farm on campus," said Tracey Hawthorn, director of well-being at UBC-O. She says this is the second time horses have been used to help students and staff at the university. "Just to give them some time away from their studies, their office, especially around this very stressful season of exams and end of term and pre-holidays." The horses, Caspian, Lukas, Dobby and Frodo, are owned by Annika Voeltz, who partnered her company, Lightbulb Coaching, with the school to create the HorseSense program. "Being with the horse takes your mind off other things. You focus on the horse, you focus on the relationship with the horse," said Voeltz. "Use the horses as a mirror for what's going on inside of you," she said. 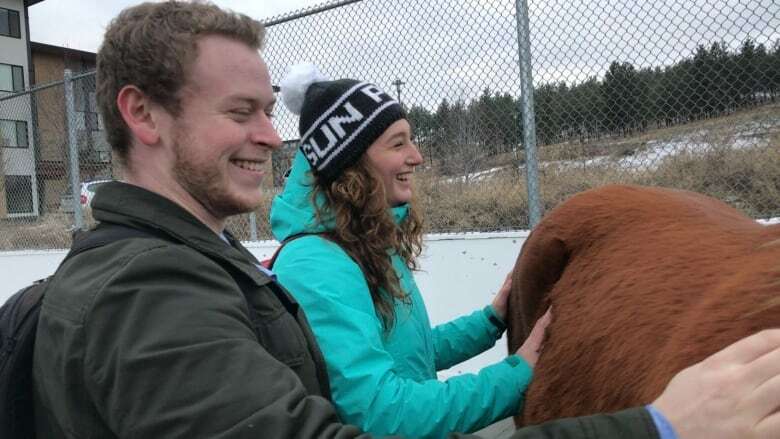 Some students at the Kelowna, B.C., university seemed surprised by the idea — but did admit to feeling relaxed and in a better mood once around the horses. Voeltz says she's often surprised by the feedback she gets, even when students have only been around the horses for a few minutes. "One of the really interesting comments we're often getting is, 'it feels like home.'"